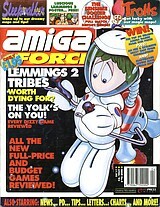 Cover Story Lemmings 2 Tribes: Worth dying for? All the new full-price and budget games reviewed! Sleepwalker: Wake up to our dreamy maps and tips! 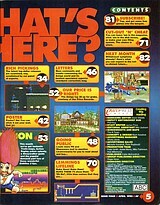 Luscious Lemmings 2 poster... free! The Sensible Soccer Challenge: Full match report inside! Trolls: Get lucky with our magic maps! Win! 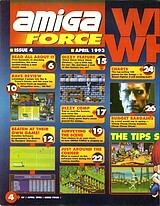 The top 20 selling Amiga games from our price! Plus! An NES & exclusive Dizzy cart from Codemasters! And! Marvellous mouse mats from BBD! Also starring: News, PD, tips, letters, charts, and more!